The Ganesh Yantra given here is the symbolization of that highest aspect of knowledge. 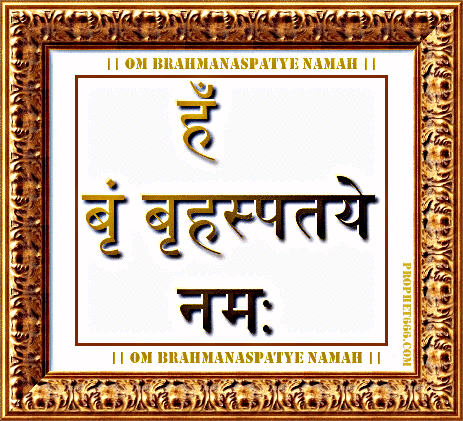 The meaning of the Mantra of this Yantra Om Brahmanaspatye Namah is I seek the blessing of the one who is the lord of divine knowledge. Some Pundits told me that my GURU is weak. can I wear this yantra to Strong my GURU. Yes, you can draw this Yantra on Ganesh Chaturthi to negate the bad effects of Jupiter. thanks sir, for ur reply i am done this on that eve and now wearing on my neck. May I know the exact writing procedure of this Yantra so that we can keep this beautiful Bappa Yantra with us for evet or its really enough to write this Yantra on blank paper as u replied earlier as the answer of killer.. Thank you! You can prepare in on white paper using red ink, after the morning bath and keep it in your purse, around the neck or Puja-Ghar.